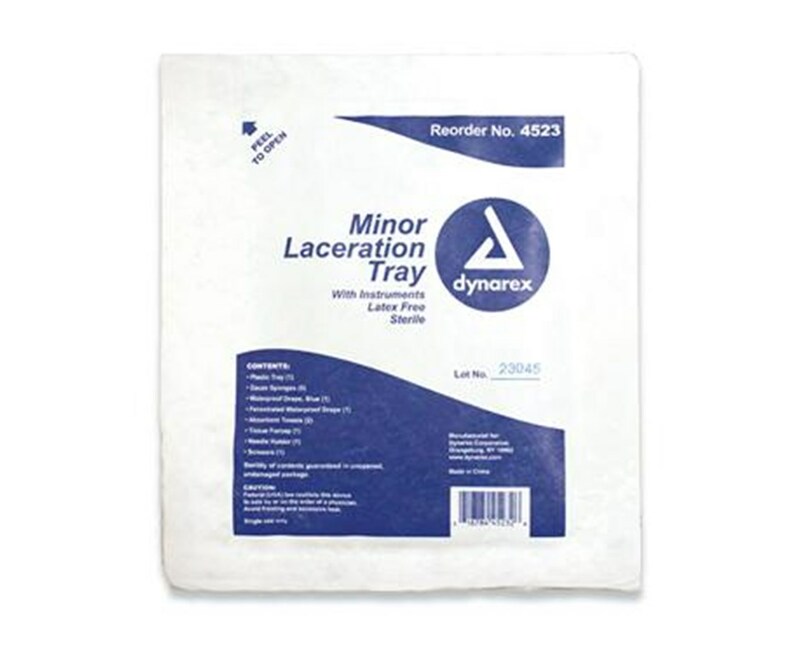 Dynarex Minor Laceration Tray is a convenient sterile kit that provides convenience and everything you need when you are in a hurry for minor suture procedures. 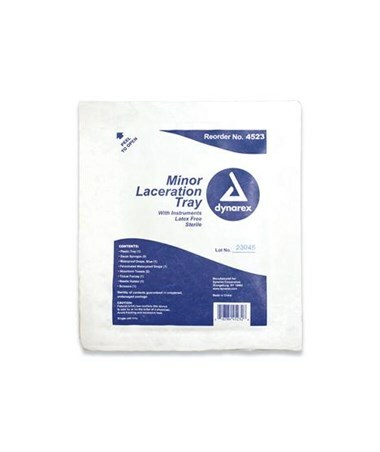 Dynarex Sterile Disposable Minor Laceration Tray includes plastic tray, waterproof drape (blue), 2 absorbent towels, needle holder, 5 gauze sponges, fenestrated waterproof drape, tissue forcep, and scissors,. Plastic tray provides sterile field. Removable Tyvek lid. Using Dynarex Minor Laceration Tray not only provides convenience but also offers extra protection against cross contamination.